This week Cheryl is joined by Margaret Morgan to discuss her debut novel The Second Cure, a whip smart thriller with big ideas and a big heart. Together they discuss how her colourful career shifts from law to biology to the arts have influenced her writing. After practising in criminal law, Margaret Morgan became a professional writer, working as a screenwriter and script editor in television for many well-regarded Australian drama series (including Water Rats, A Country Practice and GP). 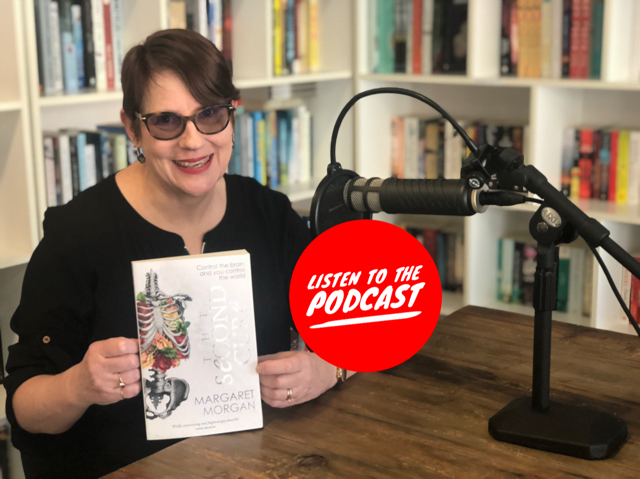 Margaret’s short fiction has published in literary journals such as Meanjin and Going Down Swinging. Her works for stage (librettos for music theatre) have been performed to critical acclaim and full houses at major Australian arts festivals. Margaret recently completed a bachelor’s degree in Advanced Science in Biology at Macquarie University, where she focused on plant science, genetics and parasitology. While studying, she won a prize for popular science writing in an international competition judged by Professor Richard Dawkins. She lives in Sydney with her family.